I had every expectation that I would the love new “Muppets” movie. Loved The Muppets as a kid, and had heard nothing but great things about this resurrection of the franchise. I am so happy to report that “The Muppets” was fantastic. Brilliant. Filled with heart, humor and plenty of interesting story plot points to keep the kids and the adults laughing (in the theatre I was in, it was split about 50/50 kids to adults). Jason Segel, who basically persuaded Disney to do another “Muppets” movie, is terrific. 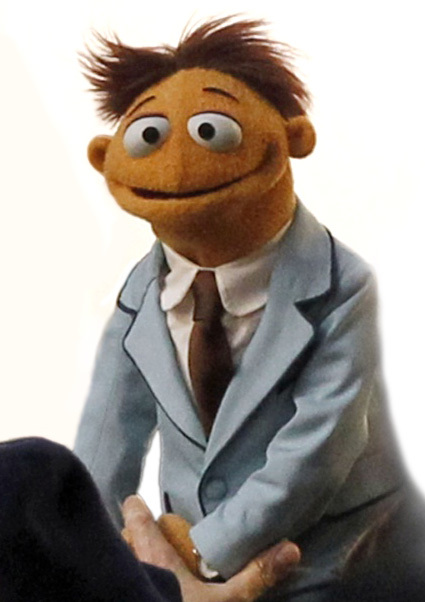 Amy Adams is great, and the new Muppet, Walter, is a great addition. I got misty-eyed when Kermit sang “The Rainbow Connection,” it’s the truth. Miss Piggy was as charming as ever. There were also a few ingenious winks at the grown-ups in the crowd (Amy Adams had the best one of these, which I won’t spoil), and a genuine sense that this was a labor of love. Can’t recommend the movie highly enough. Watching this film was like watching a family you loved getting back together. **Another week, another Jets game that had me pulling my last remaining hairs out. This time my boys in green and white did almost everything possible to lose (fumbling punts, throwing interceptions, forgetting to cover receivers) but pulled one out of their rears anyway, 28-24 over Buffalo. — Say this about Mark Sanchez: Every throw he makes is exciting for someone. Sometimes he throws it to the wrong team, but on just about every strike he hits somebody in the hands. Sanchez again made some awful decisions Sunday, threw a terrible interception that led to a TD and easily could’ve had two or three more passes picked off. 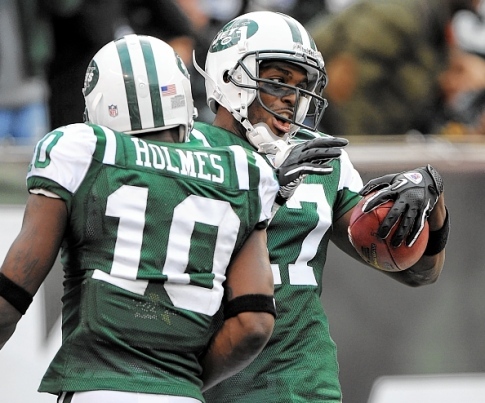 But the kid made two fantastic plays at the end (helped by a great catch by Plaxico) to help the Jets win. As my fellow die-hard friend David texted me after the win, that’s what makes Sanchez so infuriating. He clearly has the talent to be great, but I don’t know if he’ll ever put it together. — Can anyone on the Jets catch a punt and not fumble? Anyone? — Jets aren’t going to the playoffs. They’re just not very good. Sunday confirmed all that in spades. — Forget about his ridiculous and classless and not all that funny end zone dance imitating Plaxico Burress. The reason Buffalo’s Stevie Johnson should be infamous today is because he dropped a wide-open possible TD pass on his team’s final drive. Brutal. –Speaking of which, my man Bob Costas brilliantly called out these moron NFL celebration artists on “Sunday Night Football” in this scathing two-minute essay. Costas is 100 percent right. — Boy the Tim Tebow haters have to really be mad today. Another win for Denver’s wonderboy QB. — Here’s something you don’t see every day: Chargers kicker Nick Novak, a short time before his missed FG at the end of the game that would’ve won it, decided to take a leak on the sideline. **Eight months ago, “60 Minutes” did a wonderful but heartbreaking story about homeless families in Central Florida, and what the true impact of this economic recession has been. Sunday night they caught up with the kids they were following. Things have gotten worse. Watch this and see what this recession has wrought: So many homeless children, with no end in sight. I knew they were in there somewhere. After six games of my New York Jets looking very little like the fabulous 2010 team, the 2011 Jets showed up big-time in the second half of Sunday’s win over San Diego. Man, my heart could barely take it. But this time the drama was worth it. My boys rallied from 21-10 down to convincingly beat the Chargers, 27-21. — OK, Plaxico Burress, you’re still an idiot for shooting yourself in the leg three years ago. But you earned your Jets salary Sunday. Three TD catches, each one a thing of beauty. — Mark Sanchez, you’ve taken a lot of (well-deserved) criticism from Jets fans and media this year. But except for one really poor throw in the first quarter, you played very well Sunday. Excellent touch on the Burress passes, good poise in the pocket, and he ran for a huge first down late in the 4th quarter. — ‘Bout time the Jets running game showed up. Huge day for Shonn Greene. Again, please. — Philip Rivers is a terrific quarterback. But why does he always seem to shrink at crunch-time? And how good is Darrelle Revis? — Such a strong game for the Jets in the tackling dept. Seems like they missed way fewer than they had the last few weeks. See how quickly I can get giddy after a big win? — I could hear the screaming from my old state of Florida Sunday, as the most popular man in state history, Tim Tebow, won his first NFL start. Who cares that he was awful for the first 56 minutes of the game against Miami? The Bronco signal-caller led his team to an 18-15 overtime win. Truly readers, unless you’ve lived in Florida, you cannot fathom how huge that man is in the state. God-like status doesn’t even begin to cover it. — Hey Carson Palmer, great debut! Three interceptions for the Raiders. — Sixty-two to 7. That was an NFL score Sunday. Saints over Colts. Oy. **Finally, my best friend Clay sent me this and I didn’t know whether to laugh or cry. It’s a story from Scientific American magazine, and it details the many, many ways that politicians and celebrities have royally screwed up talking about science over the years. Seriously, public figures talking out of their you know where should just be quiet and stick to what they know. My favorite of these wonderful, horrible quotes? It ain’t pretty, but I’ll take it: A Jets win. A coach who knows how to have fun. And Kenny Anderson coaching at a Jewish High School? Yep. All right, so it wasn’t a thing of beauty. So the New York Jets still have no clue how to start a football game well, and didn’t get much of a running game going, and frustrated me a few times Monday night against the Miami Dolphins. Still, after three straight losses, I ain’t complaining. The Jets did what they had to do and beat the pathetic Fins, 24-6. — Here’s what the Jets need to do, as once again Monday I had to watch their offense play horrendously until the middle of the 2nd quarter: About 40 minutes before game time, the Jets need to play an intrasquad scrimmage outside the stadium. Yep, get all warmed up and pretending its a real game, and that way once kickoff comes, they’ll think it’s the second quarter and start playing well. I mean seriously, two years of slow starts call for drastic measures. 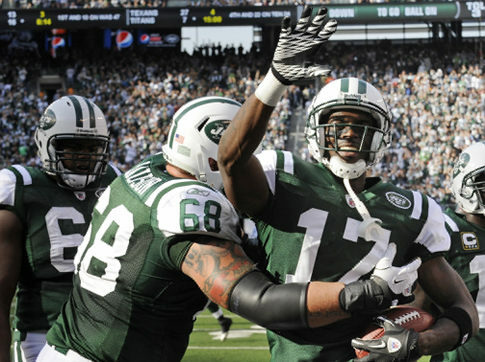 — Great job by the Jets O-line Monday. Mark Sanchez had plenty of time to throw. He wasn’t always accurate, but that’s not the line’s fault. — Sanchez played well, but I’m still worried about him. In his third year, he should be better than this. — Man, the Dolphins are awful. I mean, maybe the worst I’ve ever seen them. — The MNF announcing crew is beyond putrid. I mean Ron Jaworski and Jon Gruden, it seems like they’re watching a different game than everyone else. And they never shut up! — Darrelle Revis: He’s good. Plaxico Burress? Not so much. — 3-3 now for my boys, with two huge games coming up, against the Chargers and then Buffalo. Win them both, and the division title may still be within reach. **Kenny Anderson has had about 11 lives as a basketball player/famous person. He was an amazing NYC high school prodigy, then a fantastic college player at Georgia Tech, then a pretty good NBA player. He also made some incredibly stupid decisions and said some incredibly stupid things, the most famous being, during the NBA lockout of 1998, that he needed $20,000 of “hanging around money” to feel good. Well, Anderson retired a few years ago and, not surprisingly, found that no one wanted him and his baggage to coach them. So where is he now? Hilariously, he’s the head coach at the Posnack Hebrew Day School in Davie, Fla., a private high school. I don’t know about you, but the thought of a former NBA star coaching a bunch of 5-foot-7 Jewish kids in Florida cracks me up tremendously.